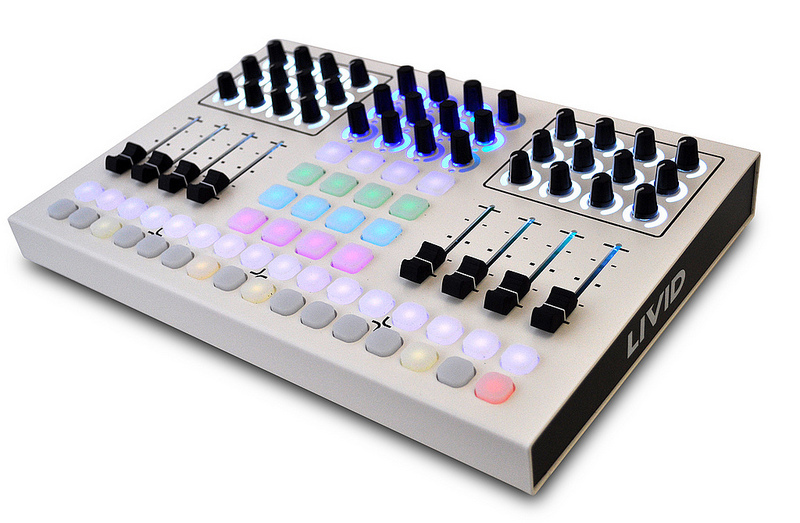 DJ tool makers keep working on integrated hardware/software solutions – as they should. But meanwhile, creative DJs and hackers keep rolling their own, personal solutions – as they absolutely should. I have mapped Double Deck Focus concept in to this mapping which gives you ability to have control aver any of four decks at both sides of the unit using shift button to enable deck selectors. Also, you’ll find four banks of controls for 4×4 pad grid together with push encoders available via shift buttons as well. This mapping is divided in to sections so check the image to get idea. For its part, the CNTRL:R hardware is really lovely – an unusually-generous heaping of faders, knobs, and pads, even having seen Ableton’s upcoming Push and other recent controllers. CNTRL:R from Livid Instruments from Livid Instruments on Vimeo. I remain fascinated by what live rigs people may concoct. Keep sending them in.